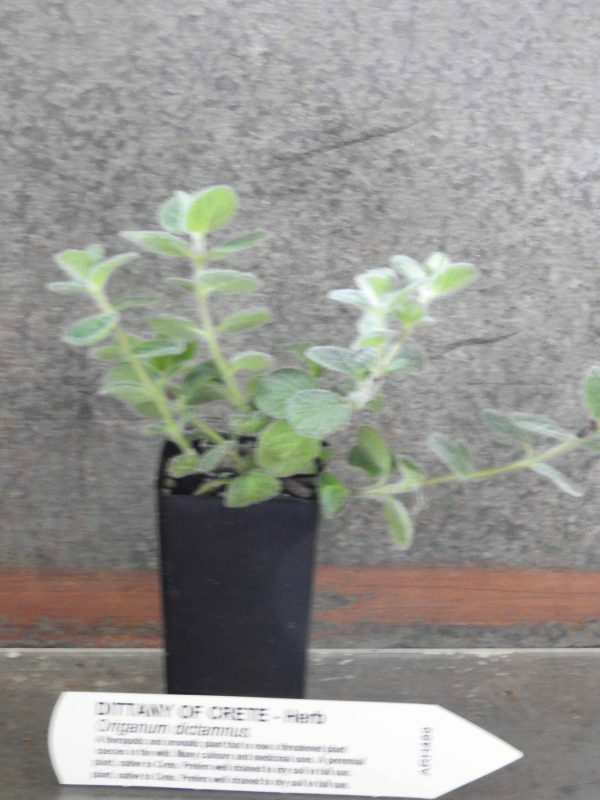 Dittany plant, Origanum dictamnus, is sometimes known as Hop Marjoram and Dittany of Crete. A theraputic and aromatic plant that is now a threatened plant species in ithe wild. Dittany of Crete has many culinary and medicinal uses. A perennial plant, native to Crete, well drained to dry soil in full sun. Grows to about 30cm. Dittany of Crete plant produces rose-pink flowers occur in the summer and autumn. Be the first to review “Dittany of Crete, plant” Click here to cancel reply.